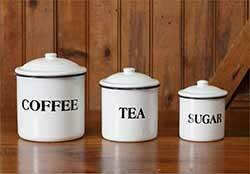 Metal Tins & Caddies - add instant personality to a room with one of our decorative metal tins or caddies! 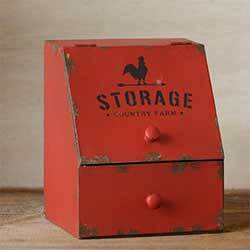 Beautiful and functional, they can serve as storage, corral clutter, or just beautify your home! 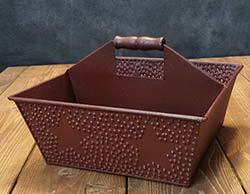 Burgundy Punched Star Metal Caddy, by Colonial Tin Works. 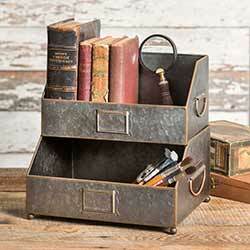 The organizational options are endless with this classic punched tin metal caddy. Made of powder coated metal in a country burgundy red, with punched star design on the front and the back. 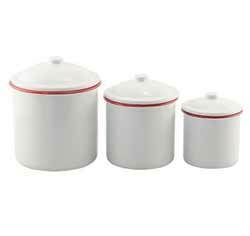 Wooden handle at the top divider for easy toting as needed. Measures 10 inches square, and 4 inches deep (6.5 inches high at the center handle. Distressed for an antiqued look. 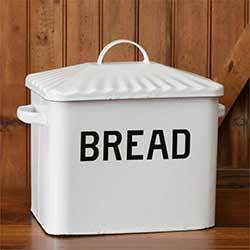 Perfectly suited for your country kitchen, this metal storage bin is perfect for teas, office supplies, plastic bags, anything you might need to tuck away! 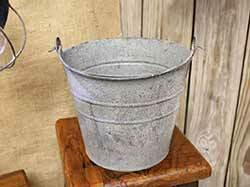 Inspired by the vintage buckets with slotted sides used to gather and wash fresh picked olives, this bucket is both beautiful and functional! 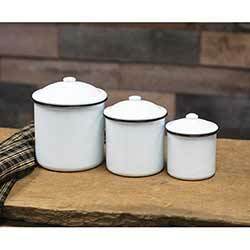 Use in your bathroom, kitchen, laundry room, or living room! Special order. 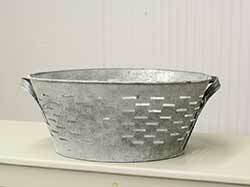 Our galvanized metal olive tub has so many uses, both decorative and functional! 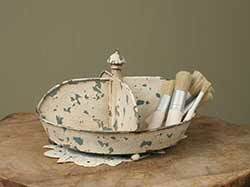 Display floral, corral toys, store blankets or towels - however you use this rustic tub, it's sure to add a unique vintage, farmhouse decorative touch to the room! Special order. 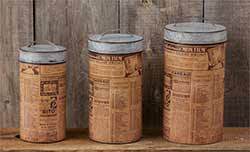 Large Galvanized Metal Canisters with Antique Newsprint - Go rustic chic style with these galvanized metal canisters, adorned with antique reproduction newsprint! Set of 3. SPECIAL ORDER. 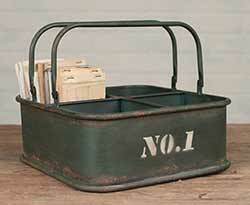 Organize industrial style with this No. 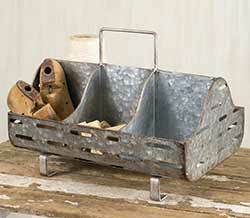 1 divided caddy, perfect for an office, garage, utility room, anywhere you want to put the vintage 1940s look to work! 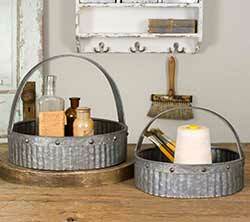 Perfect for home organization and display, these round galvanized metal baskets have a neutral look that spans farmhouse, industrial, and vintage style homes! 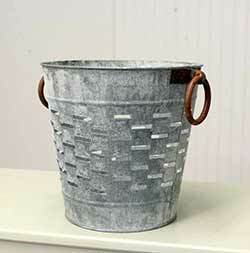 With it's lovely gray, rustic finish, this galvanized metal bucket has so many decorative and functional uses! Perfect for your bathroom, kitchen, laundry room, or living room! Special order. Perfect for a desk or table, this two tiered caddy is perfect for storage and display of notebooks, bottles, art or office supplies. 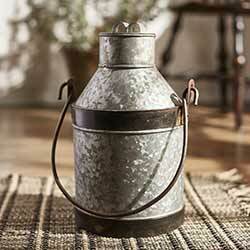 Set this by a hutch, sofa table, or fireplace, for a farmhouse decorative touch! Can be used to dispaly dried florals, rolled towels, or kindling. 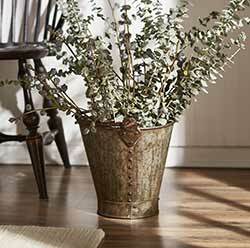 Set this by a hutch, sofa table, or fireplace, for a farmhouse decorative touch! Keep your essentials tidy and close at hand with this divided caddy, fashioned after a farm feed trough, with perforations similar to olive buckets.